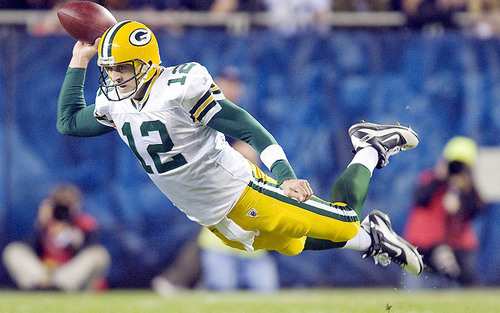 flying aaron rodgers. Aaron Rodgers displaying his true skill set.. Wallpaper and background images in the Green baía Packers club tagged: green bay packers football aaron rodgers rodgers aaron. This Green baía Packers photo might contain atacante, lineman, apostador, tailback, and zagueiro.